México 1938. Celebración del día de los muertos. 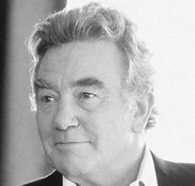 El cónsul británico en Cuernavaca, Geoffrey Firmin(Albert Finney) decide romper todo contacto con sus familiares sumergiéndose en un proceso de autodestrucción marcado por el alcohol y acechado por los recuerdos. 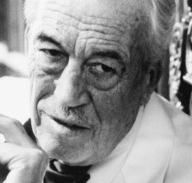 John Huston adapta la obra magna de Malcom Lowry en el ocaso de su carrera cinematográfica. Perdición cinematográfica con sabor a mezcal. Sensacional película, el maestro J. Huston elige a un maravilloso Albert Finney para hacernos bajar al infierno con el amor necesario ante las caídas que la vida nos puede empujar. Malcom Lowry quizá esté dentro del volcán esperándonos, avivando el fuego con alcohol. Ha sido mi estreno en filmin y vayaaaa!la de tiempo que la buscaba...he podido alejarme del libro,cosa que pensè imposible,como imposible me parecia adaptar esa obra.Gracias por la pagina. Puro infierno sentimental bajo el Popocatepétl en esta obra de John Huston, donde queda de manifiesto su carácter observador, como en sus mejores tiempos de púgil en los que miraba al contrincante y lo iba empujando poco a poco a su propia destrucción. A nosotros, mientras tanto, nos obliga a levantar el trasero del asiento y estar atentos a los golpes y a los infortunios de Firmin, a su modo de pegarse lingotazos de mezcal, a su baile con la muerte, sus parlamentos que parecen salidos de la boca de un Shakespeare que acaba de volver de Sonora. Impagable. "The movie belongs to Finney, but mention must be made of Jacqueline Bisset as his wife and Anthony Andrews as his half-brother. Their treatment of the consul is interesting. They understand him well. They love him (and, we gather, each other). They realize nothing can be done for him. Why do they stay with him? For love, maybe, or loyalty, but also perhaps because they respect the great effort he makes to continue to function, to "carry on," in the face of his disabling illness. Huston, I think, is interested in the same aspect of the story, that within every drunk is a man with self-respect trying to get free. " 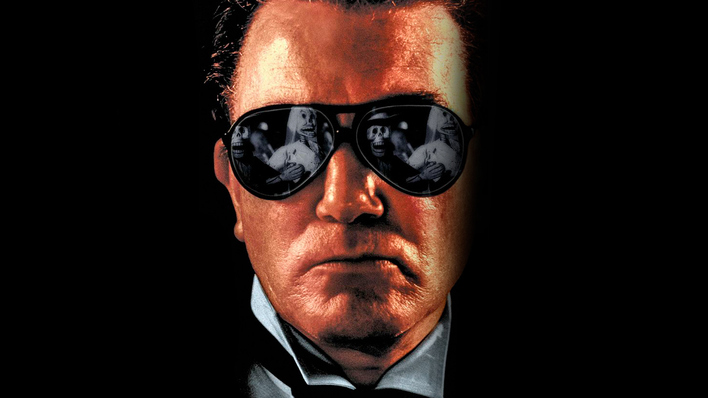 "Daring as it is to have brought ''Under the Volcano'' to the screen in this faithful but incomplete form, Mr. Huston has done so without making compromises in the process. He appears to have made exactly the film he wanted to, a serious work rather than an entertainment of universal appeal. To the considerable extent that it succeeds, it owes a great deal to the warmth and humanity contributed by the actors. 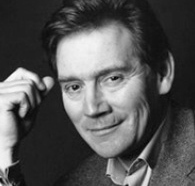 That is especially true of Mr. Finney and Miss Bisset, who make credible the strange story of the Firmins' marriage, and of Anthony Andrews, suitably callow and flamboyant as Hugh. Even the minor characters are strongly drawn, particularly the ''Brit'' (played by James Villiers) who wonders why the Consul is taking a nap in the middle of the road, and who rouses Firmin to a few minutes' worth of arch-Britishisms (''Awfully decent of you, old chap!'' the Consul gaily declares). It was a witty scene of Mr. Lowry's, and it has been preserved here perfectly. " "Although it's said John Huston has wanted to film British author Malcolm Lowry's autobiographical masterpiece Under the Volcano for some 30 years, it was always a project fraught with difficulties. 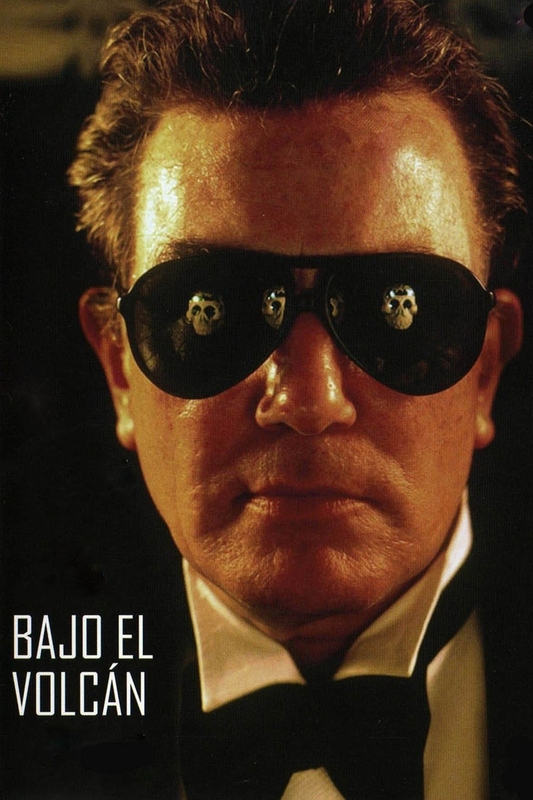 Story unfolds over a 24-hour period in November 1938 in the Mexican village of Cuernavaca where the former British Consul, Geoffrey Firmin (Albert Finney), guilt-ridden over the past and abandoned by his wife, is drinking himself to death. It's a time of celebration, the Day of the Dead, a day when death is celebrated. After a drunken night, Firmin returns home to discover that Yvonne (Jacqueline Bisset), the wife he so desperately yearned for, has unexpectedly returned. The occasion provides only a momentary interval from hard liquor, however. Although this voyage into self-destruction won't be to the taste of many, there will be few unmoved by Finney's towering performance as the tragic Britisher, his values irretrievably broken down, drowning himself in alcohol and practically inviting his own death. "